When your guitar is out of tune, you sound lousy. Acoustic guitar tuning can be hard until your ears are experienced - They may be your worst enemy when it comes to tuning properly. Until we learn to ride a bicycle, training wheel can save our neck. A tuner can can save you hours of frustration. Yes, acoustic guitar tuning can be very hard when you are just learning, but it is best that you work at getting good at it. Lets say your at a friends house at a party and there is a guitar. Of course if someone knows you play, your on the spot when they ask you to play and if you decide you want to make a attempt at playing you are going to sound best if you know how to tune it. Otherwise you might just sound like, not so good. Have you ever seen a guitar player that is really good tune their guitar while they are playing? Impressive isn't it? They don't do that just to be impressive, it is much easier to solo when your guitar is telling your ears how you are doing and that takes a guitar that is in tune. Acoustic guitar tuning requires an accurate starting point or you really don't know close you are to being in tune. A great tool for acoustic guitar tuning is an electronic keyboard. they are accurate and they stay accurate. Trouble is they don't fit in your guitar case too well.There are places on the internet that have online tuners. They are completely useless while you are at a park or at a place with no access. Learning to tune by ear can be the one of the biggest wastes of time for a beginning guitar student. 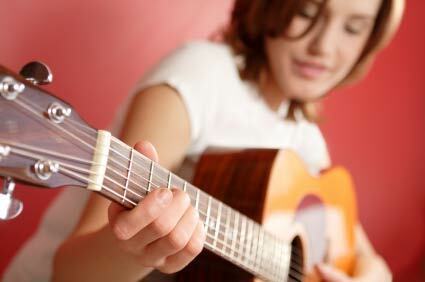 Learning to tune a guitar properly takes serious time - time that you could use to develop your playing abilities. Please don't get me wrong, its very important to learn to tune you guitar by ear, just don't let it slow down your progress as you learn to actually play songs. 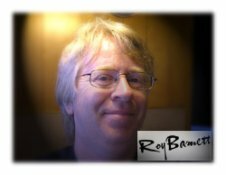 Your job as a guitarist is that of an entertainer and that means you need to put people at ease and make them feel good. A guitar that is properly set up and tuned, along with your hard earned playing skill, will make your performance shine. The problem is that acoustic guitar tuning, in general, has always been a challenge because any stringed instrument is almost impossible to get absolutely perfect all the way up and down the neck. This along with untrained inexperienced ears can make a beginner or even an experienced player extremely frustrated. Great stuff has happened to improve accurate tuning. Tuning has been made so much easier with state of the art electronic tuners. They have made acoustic guitar tuning easier and more precise than ever. The first step that a person can take is to buy a quality guitar that will stay in tune in the first place. Acoustic guitar tuning can be a troublesome to say the least with a guitar that has problems and is incapable of staying in tune. Guitar tuning on a quality instrument will make your job much more easy. Any guitar you buy should be evaluated by a good guitar tech to make sure you are not making a mistake buying it. Take my word for it. I've made a few mistakes. Listen to them, a trip to the package carrier or music store to return a bad guitar is worth it if they say something is seriously wrong. It doesn't happen very often but better to be safe and make sure it's right. If the problem is not your fault, most of the online guitar stores will pay postage. A quick checkup should not cost much. I highly recommend getting a good setup also, it can make a good guitar play so much more of a pleasure to play and to tune properly. OK, you've got a great guitar. Good start. What can you do to get it in tune fast and keep it in tune as long as possible? There are ways to improve your guitars tuning and its ability to hold itself in tune longer. Here are some guitar tuning< tips. Good fresh strings properly installed and stretched will make tuning your guitar easier. Old strings start causing trouble with tuning because of dirt, rust and wear. Locking tuners if available for your guitar can be easily installed. They make changing strings a breeze and they stay in tune better. For those who know guitars, they are very impressive. A little bit of graphite under the strings at the nut. Makes strings slide instead of bind up. Consider heavier gauge strings as your fingers get stronger. They stay in tune better if properly installed. Installing heavier strings may require a setup and nut filing. So be careful what you ask for. Good guitar techs don't mind charging hefty fees. If you get a ping or pop sound and suddenly go out of tune when you tuning try some graphite on the nut, if that doesn't work see your guitar tech. They can make sure your nut slots are cut right so they don't bind. Once you've got your guitars tuning stability where you want it, a electronic tuner will help get your guitar in tune fast. Here's what I recommend for tuning your guitars. Buy an acoustic guitar with a tuner already built in. This is what I have on mine. It is accurate and very handy. You just push a button and tune up. You can't lose this tuner unless you lose your guitar, it's always there for you. Intellitouch PT1 Tuner - This tuner clamps to the head of your guitar, has an easy to read display and is good for use in noisy surroundings. These are perfect for acoustic guitar tuning. They fit right in your case. Peterson StroboFlip VS-F Virtual Strobe Tuner - This is my top choice for acoustic-electric guitars because of the extreme accuracy, versatility - for alternate tunings, twelve string tunings, special sweetened tunings that can really make a guitar of any kind sound absolutely amazing. Planet waves desktop strobe tuner - 15 times more accurate than ordinary tuners. These have great accuracy. Very easy to use. For acoustic-electric and electric guitars. Acoustic-Electric guitar? Here're the tuners I recommend. For onstage work, A good rack tuner is easy to use and accurate. I recommend a Korg DTR-2000 for their versatility and ease of use. If you prefer a chromatic pedal tuner - the Boss TU-2 is a proven workhorse. Fairly portable and very durable. The Peterson Strobostomp is a strobe tuner in a stomp pedal and is my top choice for being extremely accurate versatile and just downright impressive to anyone watching you tune. They also have specially sweetened tuning that really bring out the best sounds in a guitar. A noticeable difference in sound quality. Tuner software -The Peterson Strobosoft suite. Very impressive in versatility and accuracy. Great for computer based guitar workstations. Be sure to check out the related pages from this website listed below. Can a new set of strings make a difference in tuning your guitar? 2.Best acoustic guitar amplifier - Lots of choices for acoustic guitar amplifiers - here's what to look for in a great sounding reliable amp. Return to homepage from acoustic guitar tuning.